In A Busy Day, Chaplin plays a wife jealous of her husband's (Mack Swain) interest in another woman, played by Phyllis Allen. 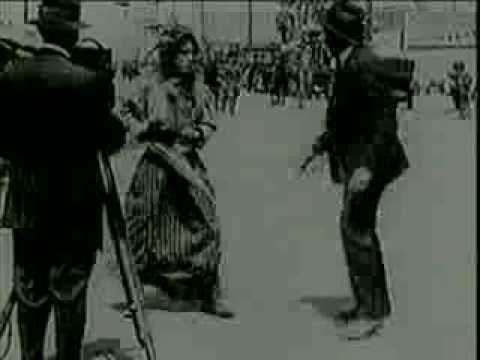 On her way to attack the couple, the wife interrupts the set of a film, knocking over a film director, played by Mack Sennett, and a police officer, played by Billy Gilbert. Finally, the husband pushes Chaplin off of a pier, where his character falls into a harbor.